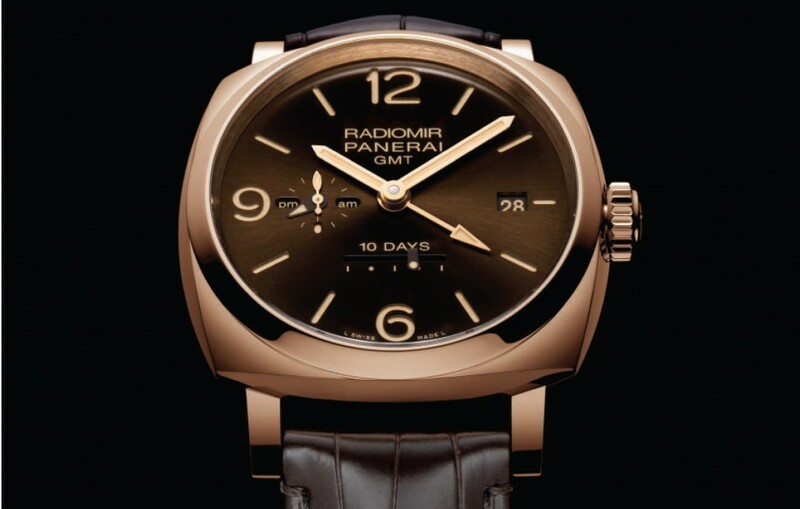 Panerai participated to the exhibition Watches &Wonders 2015. 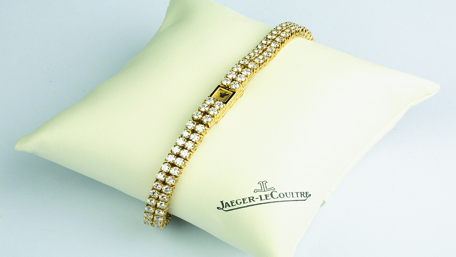 The nice Panerai collections were exhibited to the delight of people fond of luxury brand watches. 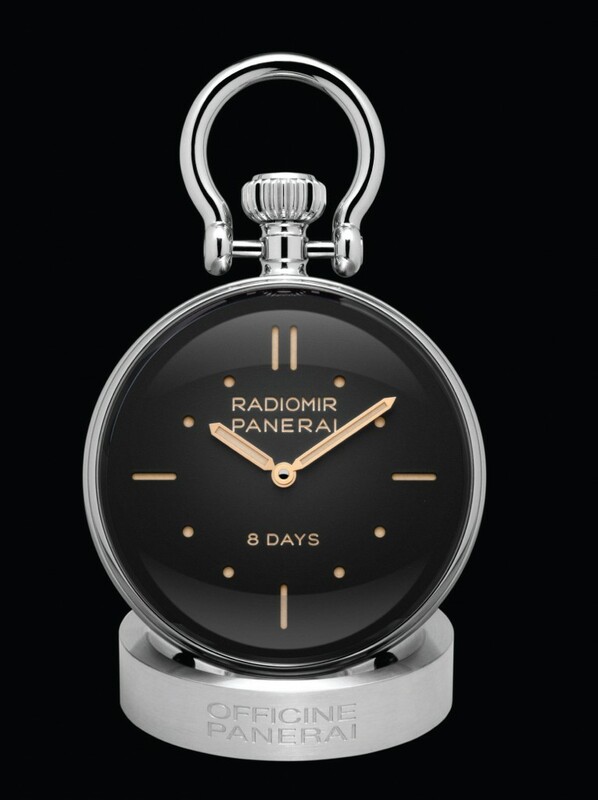 With its timeless design and the sophisticated technical solutions created by the new Manufacture in Neuchâtel, the Radiomir 1940 is the main focus of the new Panerai collection presented at Watches & Wonders 2015. Many decades after its creation, like other icons of its time, the Radiomir 1940 continues to fascinate enthusiasts of watchmaking and design. It is available in steel or red gold fitted with the P. 1000 calibre, hand-wound with a power reserve of three days, also available in automatic movement. Another model in red gold, with a movement in a finely skeletonised oscillating weight enabling a power reserve of 10 days to be stored. Also Officine Panerai created a range of exclusive timepieces of the highest quality named «Lo Scienziato», which are a tribute to the memory of the great physicist and astronomer Galileo. «Lo Scienziato» range is the new Radiomir 1940 Tourbillon GMT oro Rosso, 48mm. The two new models have a small detail marking their link with Panerai’s history: the date «1950» is engraved on the lever locking the winding crown. 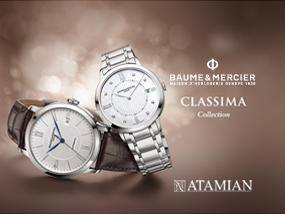 The case is made of titanium, a light material coated with DLC, and it is 47 mm in diameter like the vintage models. Their water resistance is guaranteed up to a depth of about 100 meters. 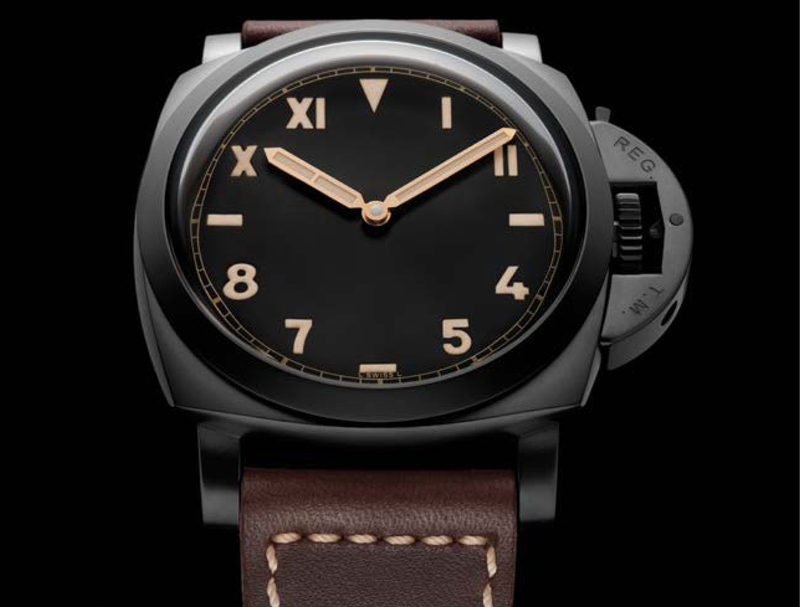 The two Luminor 1950 3 days differ in the dial, one has the black dial with the classic Panerai design and the other has a black dial with a combination of roman and Arabic numerals. Officine Panerai presents two new table clocks incorporating the P. 5000 movement, hand-wound with a power reserve of eight days, with the classic dials which have written the history of the brand enclosed in a perfectly transparent mineral glass sphere.